The wood lily (Lilium philadelphicum L.) graces shady July roadsides and woodlands of central New Hampshire. 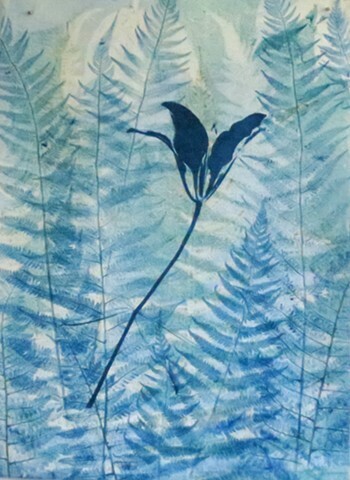 This print, one of a group of fourteen, features a stylized version my favorite summer wild flower and its fern neighbors. Other prints in this series can be seen at another page on this website .